The low price is the first thing that typically grabs people’s attention but it’s the quality engineering, ease of use, and compatibility with the audiology software packages that are out there that move the discussion forward. Most hearing device manufacturers don’t use the extreme resolution that our machines are capable of in the X, Y, and Z axis. What you most often need is build platform space, speed, accuracy, and bio-compatible resins. We have all that and more. Audiology needs Bio-Compatible resins. Asiga has a line of bio-compatible resins that are common in audiology. Pro3dure Gr1 – Ideal for making rigid parts for in ear applications, or making molds for the injection of RTV rubber compounds for soft ear products and custom ear plugs. BioCompatible material for 385nm systems. Pro3dure Gr10 – Ideal for making rigid parts for in ear applications, or making molds for the injection of RTV rubber compounds for soft ear products and custom ear plugs. BioCompatible material for 405nm systems. Even though we offer bio-compatible resins, we never try to force you to change from the devil you know. The Asiga system is an open system and is intentionally compatible with many commonly used resins provided by other UV resin suppliers. Many UV resin suppliers are also producing resins that are especially designed for our machines for the simple fact that we are an open source machine company. 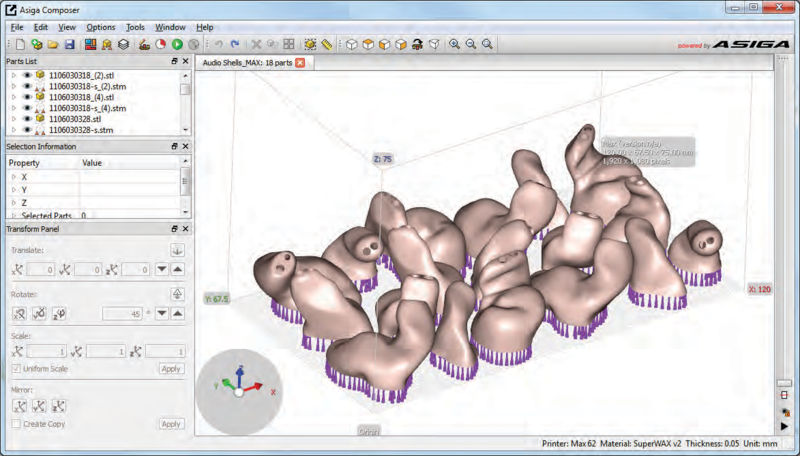 Scanners for the audiology industry like 3Shape’s H600 combined with 3Shape’s CAD programs, EarMouldDesignertm and ShellDeisgnertm .stl file output can be directly imported by our Composer software to integrate with any of the Asiga 3D printers. 3Shape has a good program called CAMbridge that orients, organizes, and supports those files for growing for an additional price. Our intuitive Composer software that does much the same thing is included with our machines and has free updates and support. Our Composer software automatically corrects minor defects in stl files that are common, helps you orient the parts on the build platform, nests the parts for build envelope efficiency, automatically applies supports based on your criteria, or you can manually support your parts as you see fit. While some of the larger hearing device companies already own programs such as 3Shape and other products, many other companies have opted to use our very intuitive Composer software as an alternative. Having no hardware lock, annual fees, free updates, and open source access to our software is pretty enticing to many makers of hearing devices. Because our 3D printers are basically autonomous computers on your network they are available to any CAD technician that has the Composer software installed on their computer. We do not restrict the number of users of the Composer software in your facility and there are no hardware locks for you to keep up with. Because of the way the Asiga system is engineered and the incredible pricing, it is not unusual for companies to buy several of our 3D printers and put them in cellular locations to create efficient work teams that mainly produce ear molds, shells, etc. 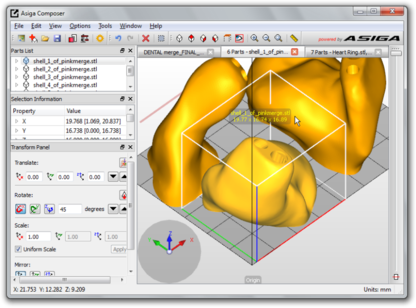 Composer is not the operating software for the Asiga 3D printers. That firmware is on the hard drive of the Asgia machine itself. Composer prepares your files for growing on the printer and then exports the files to the Asiga printer of your choice. The reason I am emphasizing this is because most 3D printers require a dedicated computer with the operating system for that printer to be connected to them directly via USB or other connection and is typically not considered when calculating the costs of that system. Proto Products offers free telephone, video Skype, and e-mail support for 30 days from install of your 3D printing system. The average user needs only about an hour of support in this initial time period. Most of the functions and procedures are online at our website to view as often as needed. We don’t leave you after 30 days in case you need something but we do expect you to make an effort to learn your system so putting a time frame to it, encourages new users. As 3-D printer users, manufacturing experts, and consultants, Jeff Hoover and Tyler Teague can answer all your questions about working with the system. Their knowledge of manufacturing runs the gamut: from CAD to rapid prototyping to model making to mold making to casting to finishing. They have been troubleshooting, fixing, standardizing, and setting up manufacturing facilities for decades. But most important, they use the Asiga 3-D printers on a daily basis and have been using them for several years. If there is a problem, they will find a solution. Proto Products’ roster of clients includes laboratories, such as 3M and Pacific National Laboratories, research facilities, and educational facilities. Their clients choose them both for their vast experience and the fact that they can offer a user-friendly 3D printer with a customized software solution to suit your needs. How can Proto Products help you? With decades of experience designing additive manufacturing facilities of all sizes around the world, we apply our manufacturing and 3D printing knowledge across industries to help companies better compete. We specialize in the technical aspects of CAD design and rapid prototyping for optimum quality, production efficiency, and maximum profit. 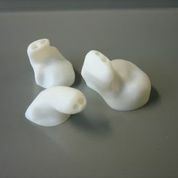 We can advise, trouble shoot, and help you with all of your Audiology CAD/CAM needs—from outfitting you with the best 3D printers for your operation to training your workers to efficiently operate those systems to streamlining your rapid prototyping. Also, we can develop new processes or systems that best fit your unique situation. We have hundreds of satisfied customers around the world.